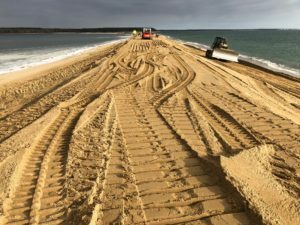 Our winter project for this phase of the Spit re-construction was completed last month. 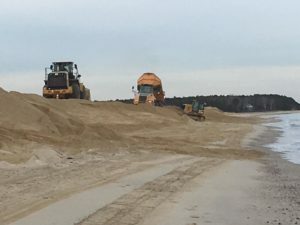 We trucked in 10,000 cubic yards of sand, 8,500 for the eastern side closest to Audubon’s land and 1,500 to repair damage on the western side at the foot of Popponesset Island. We also had grass planted on the eastern side to anchor the sand. The resiliency of the Spit has been improved dramatically, especially along the middle section where it was extremely vulnerable. 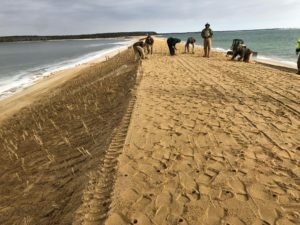 We also had a nice, low-profile, hummocky dune built at the entrance to the Spit and installed a dense grass array to deter people from walking on the dune. There is a clear pathway, outlined with grass on both sides. In the spring we will look at whether we need to add symbolic fencing (stakes and twine) for the walking paths. 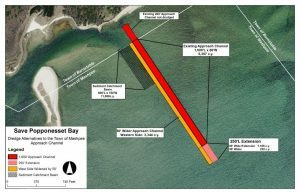 We continue to work with Woods Hole Group and the Town of Mashpee for permitting of the outer channel to improve boating safety, while also providing a critical source of near-term and long-term dredged sand. This permitting process will continue through 2019. 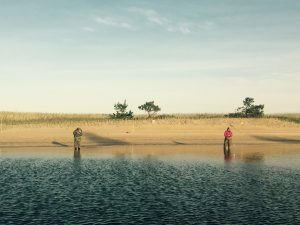 In 2019, we will continue to pursue grant opportunities including the MA Coastal Zone Management (CZM) and other funding groups which we follow. With each public funding application, the State emphasizes the importance of the breadth of our private donor base. We appreciate all contributions, large and small. Without your support, we could not have accomplished what we have over the past four years. 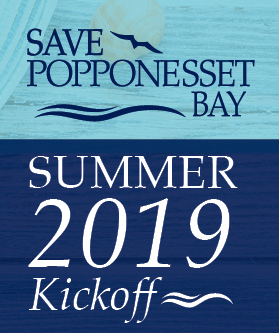 We thank you for your continued support and hope you will consider a tax-deductible contribution to Save Popponesset Bay in 2019. SPB is an all-volunteer organization. We accept and encourage corporate matching gifts. Please go to: www.savepopponessetbay.org/donate or mail your donation to SPB, Box 920757, Needham MA 02492.